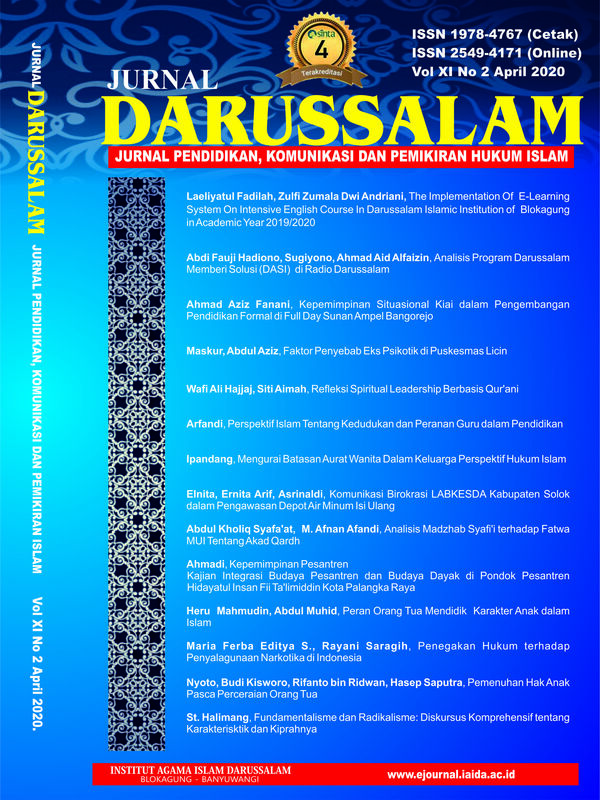 The LOYALITAS Journal of the Community Service Journal is a Journal published by the Institut Agama Islam Darussalam Blokagung Banyuwangi an online ISSN Number 2621-4687 and ISSN Print 2621-4679, which contains the results of community service by referring to the needs and problems faced by the community so that this service is expected to be able to make a real contribution to the community and be sustainable. 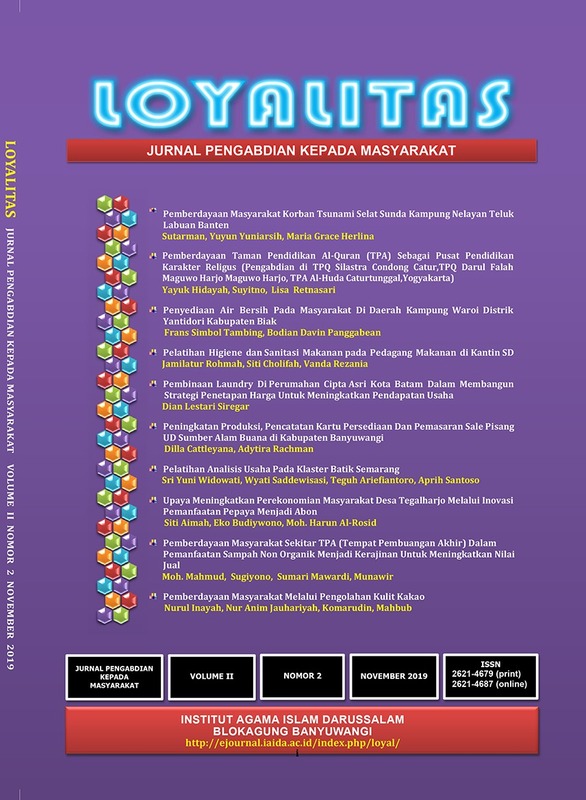 LOYALITAS Journal published 2 times a year, in May and November. 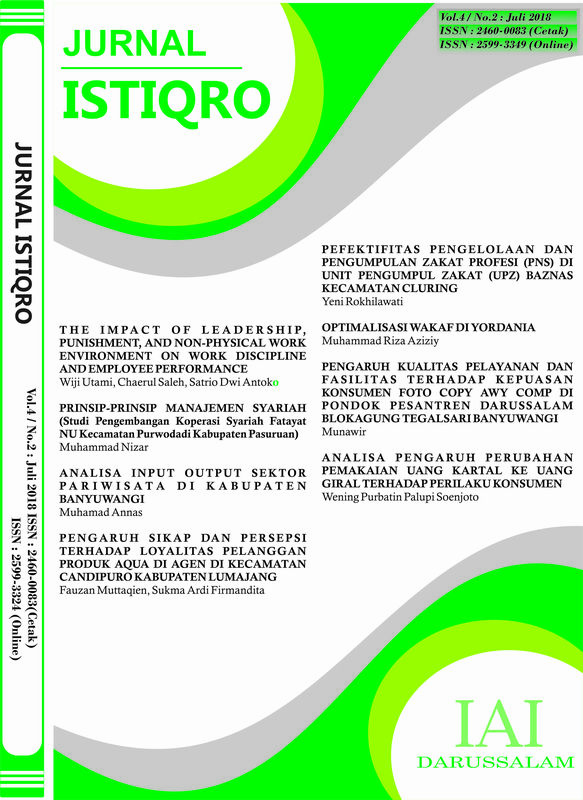 Istiqro Journal ISSN 2460-0083 (Print) and ISSN 2599-3348 (Online) is a journal published by the Banyuwangi Institute of Islamic Religion which voices issues of Islamic law, economics and business in various perspectives. 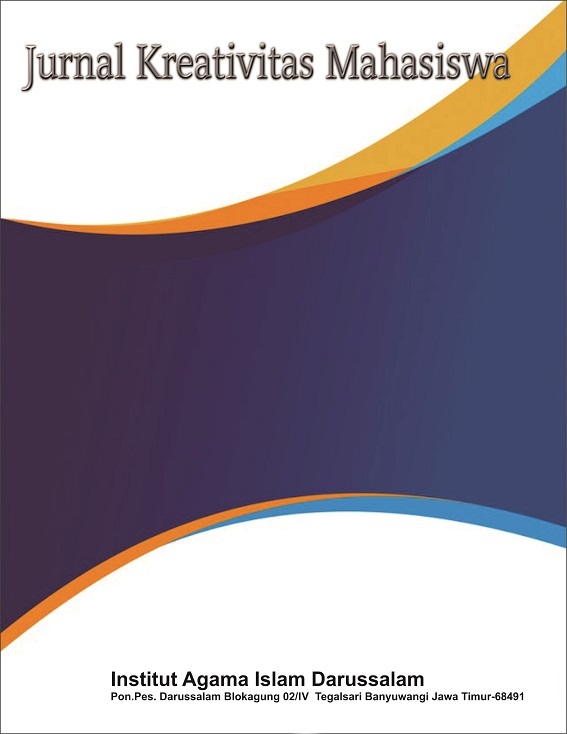 This journal is periodically published, twice in one year (January and July) as a vehicle for scientific communication and discussion among academics and practitioners as well as science activists throughout Indonesia, especially in Islamic, economic and business law.